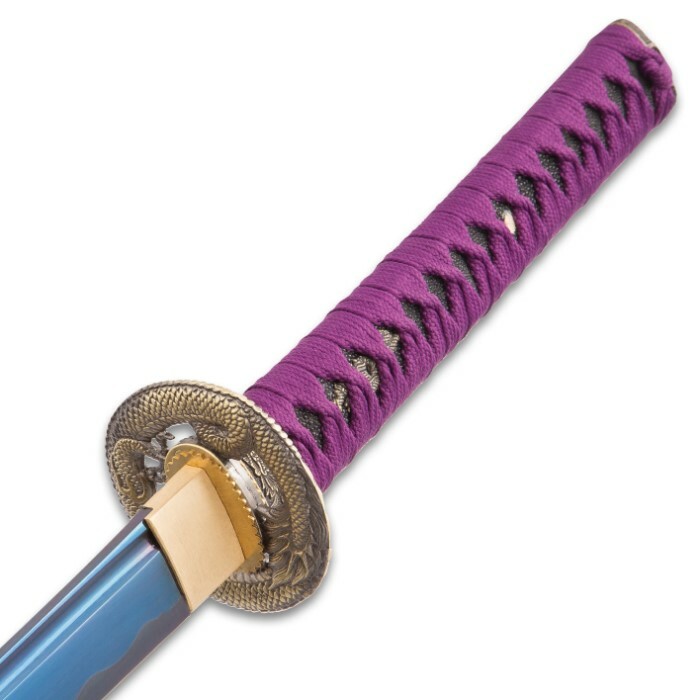 Regal and worthy of the Imperial Palace, Shinwa’s Noble Midnight Samurai Sword is definitely befitting of a Japanese Emperor! 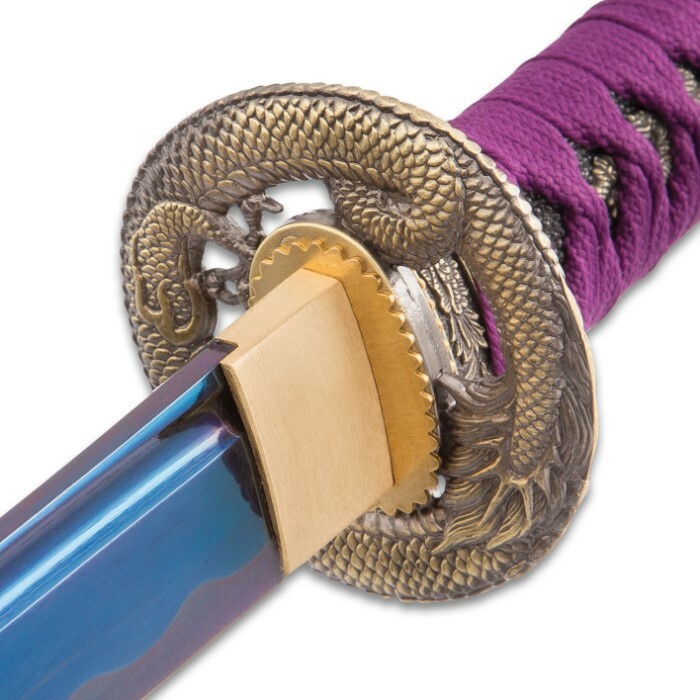 It features a midnight blue, hand-forged 1060 high carbon steel blade, which is complemented by the brass habaki. 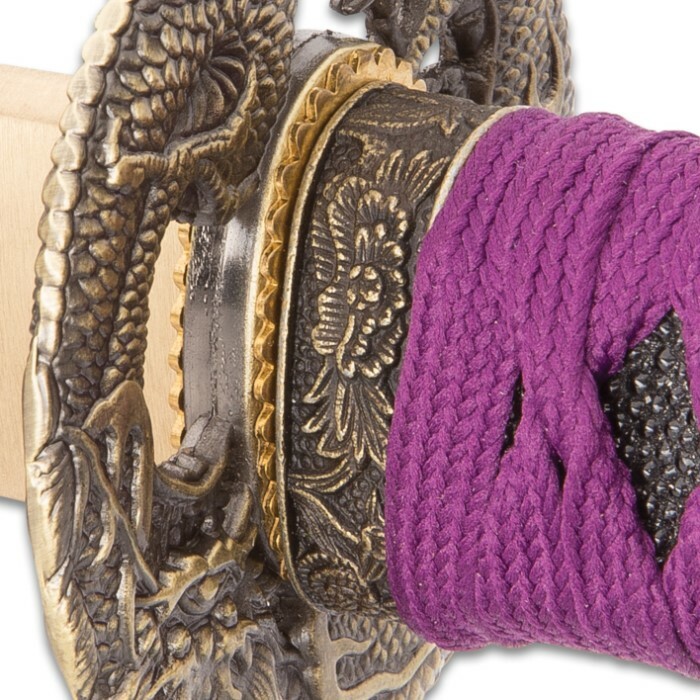 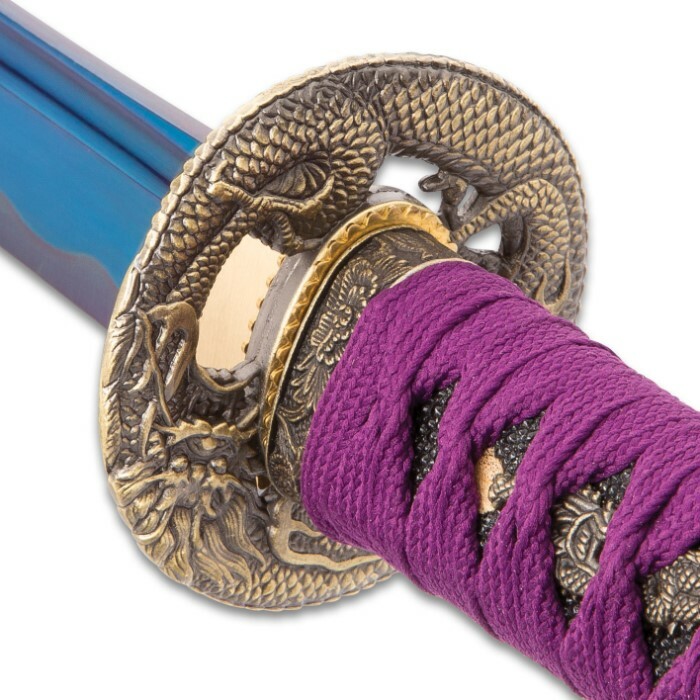 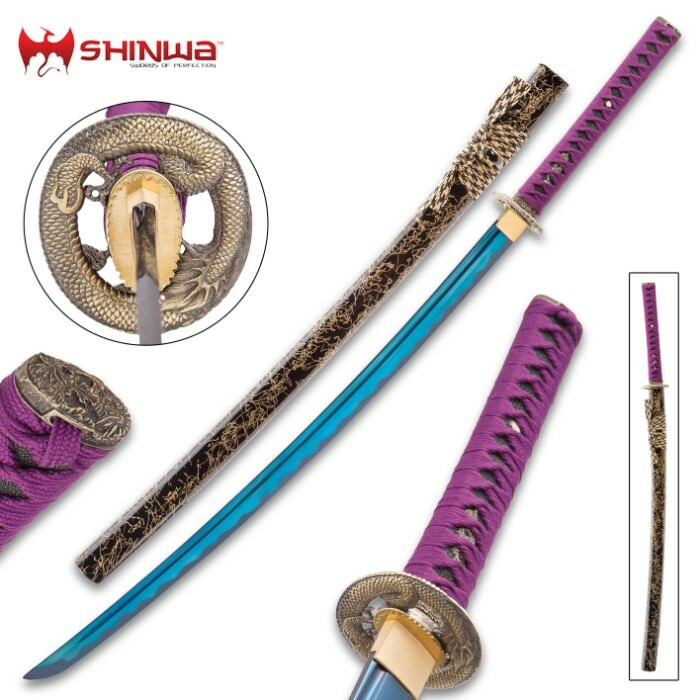 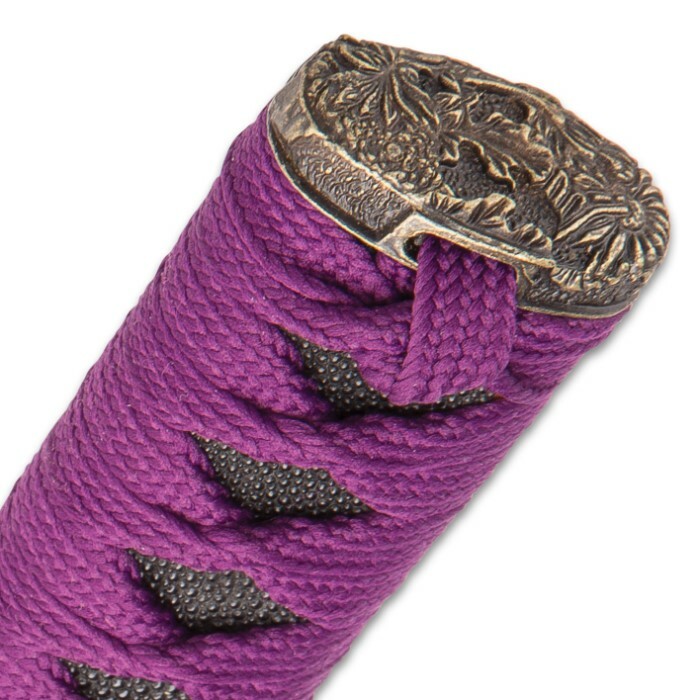 The handle is traditionally wrapped with genuine rayskin and features a purple cord-wrap to match the blade. 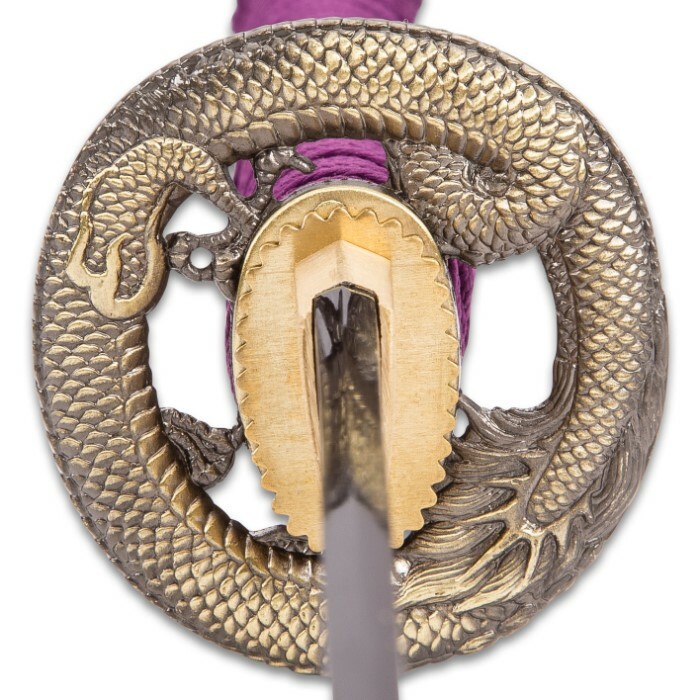 The intricate, gold metal alloy tsuba is a coiled dragon design and the design is carried through to the gold pommel. 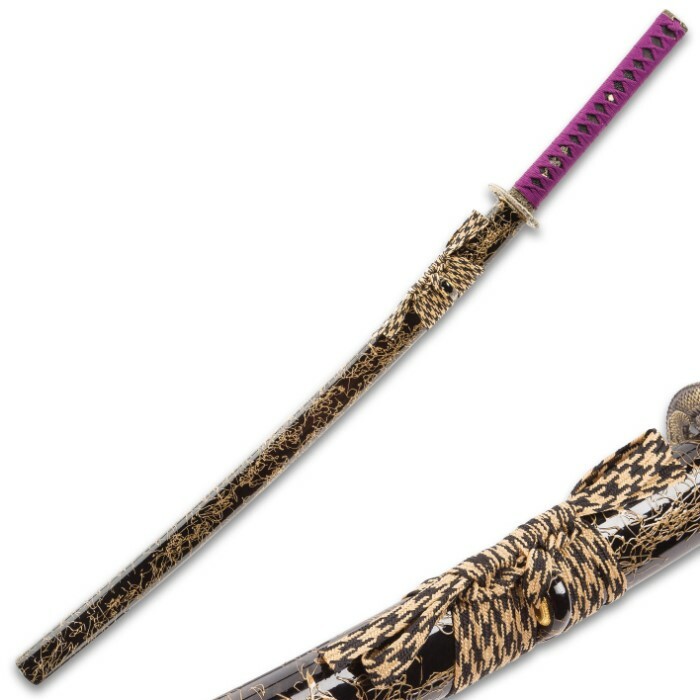 The 28” blade slides perfectly into a black lacquered, wooden scabbard adorned with metallic gold splashes and complementary cord-wrap.